healthcare professionals licensed in the USA. 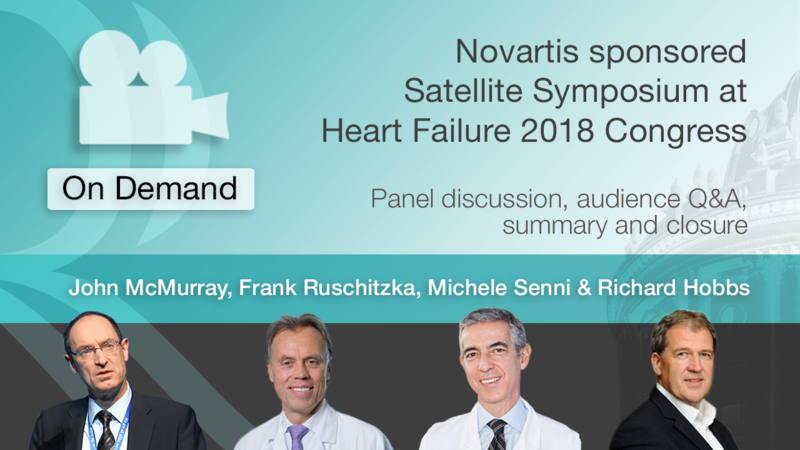 This Satellite Symposium – Experts on the Spot session titled ‘Your questions on dilemmas in the treatment of heart failure answered’ was moderated by Frank Ruschitzka. 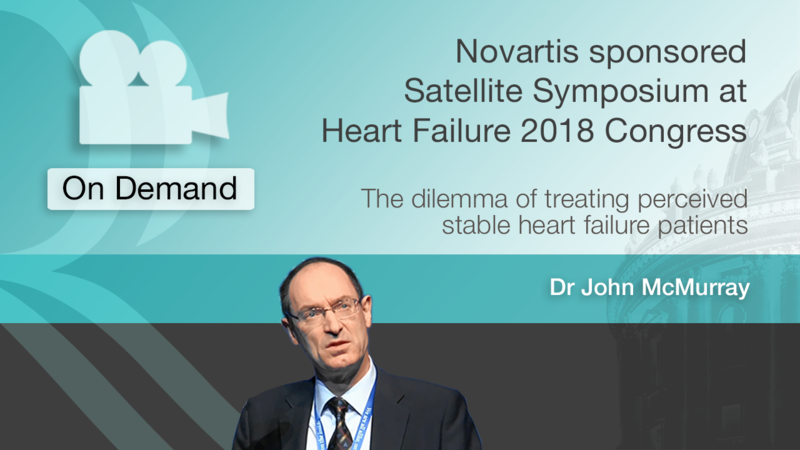 This session provided delegates the opportunity to ask questions to the expert faculty panelists; John McMurray and Carolyn Lam, following the Novartis sponsored Satellite Symposium at Heart Failure 2018, on acute and chronic heart failure. Watch this video recording to hear the questions and discussions from this interactive 30 minute session. 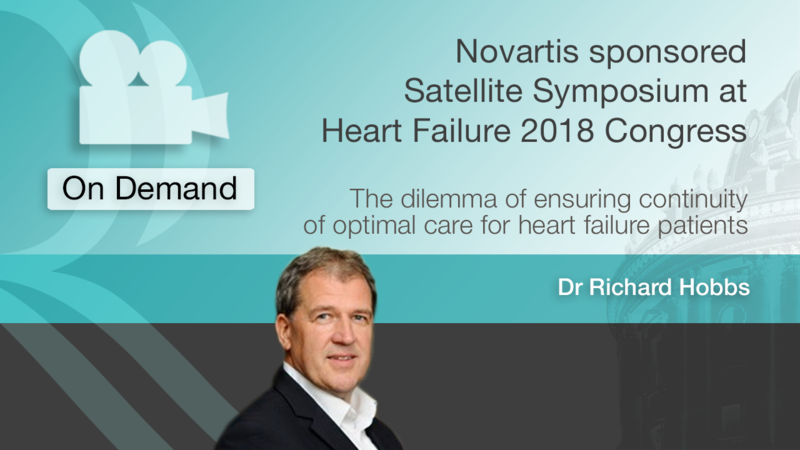 Navigate the challenges in clinical decisions for patients perceived as having stable heart failure in light of current evidence and available disease modifying therapies. 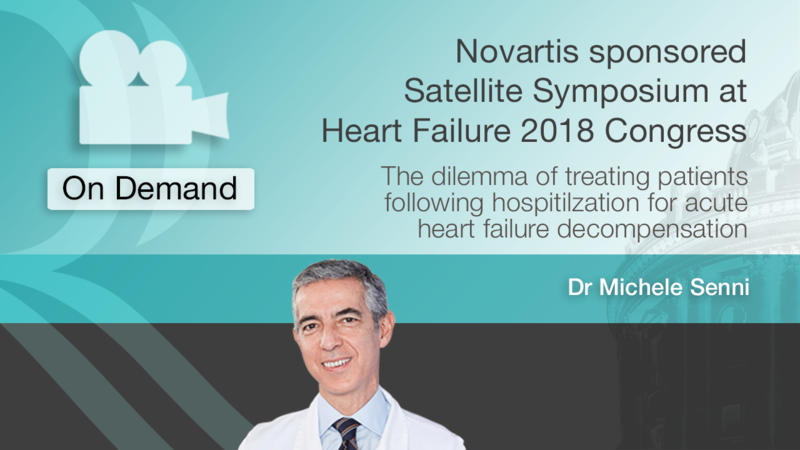 Recognize the high risk of recurrent events and deterioration after hospitalization for acute heart failure decompensation and understand options to optimize treatment before discharge. Appreciate the importance of well-coordinated transition of care between the cardiology/hospital-setting and primary care for continued optimal treatment of heart failure patients.